So we had a Fantasy Ball at Sakura, I decided to go as a Night Elf Sentinel. I had a lot of fun with putting the costume together, and taking the pic. Very little processing done on the pic at all. Two things I don’t like – the hair’s texture. I had to tint the hair, but even previous to that the texture was not great, and it shows up worse in the picture. But it was the exact style I wanted, with the feral look, the feathers, etc and being pressed for time I went with it. Secondly, I forgot to wear my prim eyebrows for the pic. They were ok, but oh well! The Night Elf Sentinels are the all-female elite guard of the Night Elf culture. Many wear the impractical armor seen below (they specialize in light and medium armor). Often good with the bow or moonglaives, they protect Night Elf settlements from the depredations of the Horde! These warrior women practice both the art of combat, as well as that of healing and life-giving in the name of moon goddess Elune. The Sentinels are considered the elite fighters among the night elves. They are led by the priestesses of the Moon under the high priestess, Tyrande Whisperwind. The Sentinels are comprised of elite night elf archers, a cavalry division known as the huntresses who ride the feral nightsaber panthers, and the mighty hippogryph riders, who assault enemies from the air. I will try to get more detail when I have it. Before Beatlemania, there was Lizstomania! When you think of rock n’ roll, Franz Liszt might not be the first name that comes to mind. But the classical pianist, born over 200 years ago, was in many ways the first rock star of all time. Liszt also revolutionized the art of performance. 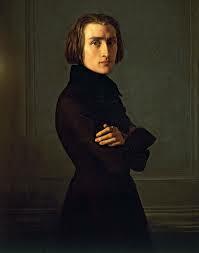 Before Franz Liszt, no one thought a solo pianist could hold anyone’s attention, let alone captivate an audience. Liszt set out across Europe in 1839 to prove the conventional wisdom wrong. As part of that mission, he made a radical decision to never bring his scores onstage. Liszt deliberately placed the piano in profile to the audience so they could see his face. He’d whip his head around while he played, his long hair flying, beads of sweat shooting into the crowd. He was the first performer to stride out from the wings of the concert hall to take his seat at the piano. Everything we recognize about the modern piano recital — think Keith Jarrett, Glenn Gould, Tori Amos or Elton John — Liszt did first. Even the name “recital” was his invention. But although his life was the kind many musicians dream of, Liszt walked away from it all in his 30s. Later on in his life, Liszt became interested in conducting, and he re-defined that role as well: He started to work with individual musicians to help them shape the sounds that he was after. And, of course, Liszt would go on to compose around 1,400 works. He died in 1886, but all through the 20th century, his influence could be heard — in the works of fellow Hungarian composers Bela Bartok and Zoltan Kodaly, as well as in the writing of his son-in-law, Richard Wagner. The details of Vivaldi’s life are surprisingly sketchy. Even extensive modern scholarship leaves many wide gaps in his whereabouts and activities. Biographies typically devote at most a few dozen pages to his career and the rest to his works. Indeed, only in 1962 was his birthdate determined from baptismal records to have been 1678; prior writers had placed it as early as 1669. Vivaldi learned the violin from his father, a Venetian barber who played in the orchestra of San Marco cathedral. He was ordained in 1703 and, thanks to his flaming hair (blanched in his only color portrait, perhaps due to a powdered wig), became known as the Red Priest, but his ecclesiastical functions were forestalled by bronchial asthma, which denied him the stamina to say a complete mass. The next year he became a violin teacher at the Ospedale della Pietà, an orphanage for a thousand girls, of whom a few dozen received intensive musical training. In 1716, he became the music director. Among his duties was to provide two concertos per month (even while he was away) for concerts given each Sunday by the school orchestra (in which, to the amazement of visitors, the students played all the instruments, rather than just the ones deemed suitable for ladies, and whose sensual attraction undoubtedly contributed to their widespread fame among gentlemen patrons). Despite a bumpy relationship with the school administrators, Vivaldi enjoyed considerable freedom, not only to fill his compositions with whimsy and technical hurdles to challenge his students and display their artistry, but to travel extensively to fulfill commissions and to stage his operas. Although Vivaldi negotiated sizable fees for his work, he spent prolifically and died in poverty during a 1741 trip to Vienna, where he was given a pauper’s funeral. For nearly 200 years, Vivaldi was a historical footnote, although a somewhat influential one – the twelve concerti comprising his first publication (L’estro armonico, 1711) were widely imitated. Yet, as Groves’ Dictionary aptly observes, the current repertory system lay well in the future; instead there was a constant need for new output. Thus, soon after his death his few publications were forgotten and the rest of his output remained unknown. His only lasting recognition came from the fervent admiration of Bach, who modeled his own concerto style after Vivaldi’s and adapted for keyboard nine Vivaldi violin concerti (even though Bach devotees tended to disparage the source). That suddenly changed in 1926 when a monastery presented a massive cache of old scores to Turin University for appraisal prior to sale to fund repairs. The collection was traced back to a Count Durazzo, who had purchased the lot from the Ospedale, donated half to the monastery and passed the remainder to his heirs. Lawsuits overrode the Count’s will, which forbade publication, and private donations kept the scores intact and off the antiques market. Among them were a huge number of Vivaldi’s handwritten originals, including over 300 previously unknown works. Scholars delved through the treasure and were astounded by the unsuspected diversity and range. Since World War II, a burgeoning of biographies, catalogs, analyses, performances and recordings have led to a thorough reevaluation of Vivaldi’s significance and a new understanding and appreciation of the scope of his art. In 1725 in Amsterdam, Vivaldi published twelve violin concerti entitled Il Cimento dell’armonia e dell’inventione (literally, The Contest of Harmony and Invention). The first four were designated Le Quattro Staggioni (The Four Seasons). In his dedication, Vivaldi alludes to his patron having enjoyed them long ago and asks that they be accepted as if they were new, thus suggesting that they had been composed and performed much earlier. Not only are the individual verses printed in the score alongside the music they are intended to depict but Vivaldi adds further phrases (“the barking dog,” “the tears of the peasant boy,” “the drunkard”) to clarify specific allusions. His music depicts some rather literally (accurate imitations of specific bird calls and pizzicato raindrops) and others metaphorically (dissonance to underline a winter chill, rapid scales to portray swirling winds.) While all this may sound like a dry schematic for a sound effects track, it all fits musically and centuries later is still enthralling to hear and enjoy. While the Four Seasons may have originated as a routine assignment for his girls to play once, Vivaldi clearly poured his heart and soul into this work. One of the earliest uses of music was in the accompaniment of theatrical dance and story-telling, so it is natural that composers should from time to time produce what we know as “program music” � music written to portray events, activities or moods such as pastoral scenes or storms. Music representing the moods of the four seasons has always been popular, and baroque composers such as Werner and Fischer among others produced cycles of concertos representing the fours seasons. But none were to do so in such precise pictorial detail as Antonio Vivaldi in his Four Seasons concertos. As a descriptive basis for his Four Seasons, Vivaldi took four Sonnets, apparently written by himself. Each of the four sonnets is expressed in a concerto, which in turn is divided into three phrases or ideas, reflected in the three movements (fast-slow-fast) of each concerto. The published scores (by Estienne Roger of Amsterdam in 1725) are marked to indicate which musical passages are representative of which verses of the sonnet. It is advisable, at least during the first few hearings, to follow the sonnets and music together, for they are bound up with one another to an extent rarely heard in any other programmatic pieces either of the baroque period or subsequently. We hear the cuckoo’s voice; then sweet songs of the turtledove and finch are heard. Soft breezes stir the air… but threatening north wind sweeps them suddenly aside. The shepherd trembles, fearing violent storms and his fate. Cuts the head off the wheat and damages the grain. And fired up by Bacchus’ liquor, many end their revelry in sleep. This Salon was held on the road, in New Toulouse! For the event, we went to the beginnings of jazz, and Jelly Roll Morton and his Red Hots. 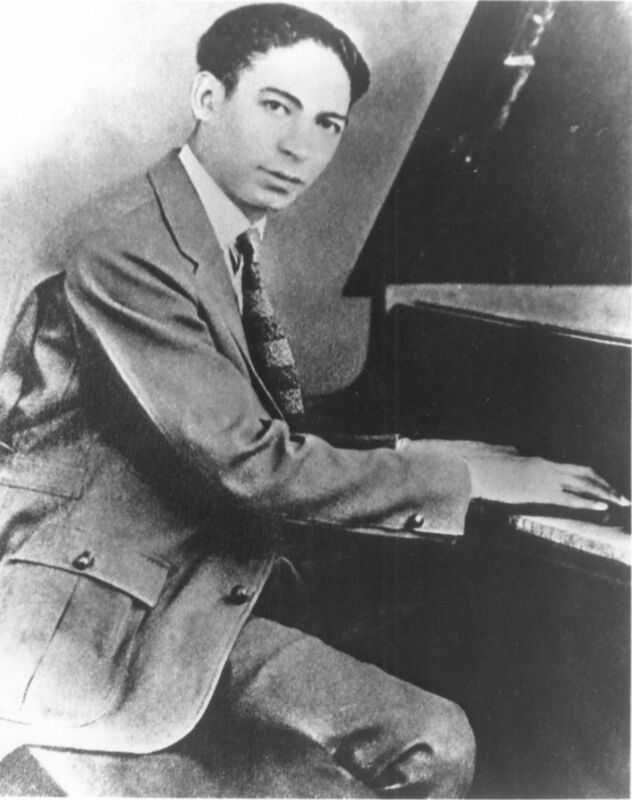 Pianist Jelly Roll Morton invented himself, even if he did not invent jazz, as he once claimed. Born Ferdinand Joseph Lamothe, his formidable technique at the keyboard enabled him to reproduce the polyphonic sounds of New Orleans’ street bands, which he then brought to a national audience. Jelly often misrepresented the facts of his life, as he sought to play up his role in the emergence of jazz. However, the contours of his early career are now well established. He was born on October 20, 1890 in New Orleans to parents of a common-law marriage. As a teenager, young Ferdinand took on his step-father’s surname of Mouton, and lived in the home of his great-grandmother, Mimi Pechet. When he began frequenting the tenderloin district of New Orleans, largely known for its brothels and gambling joints, he was exposed to a wide variety of society music and the piano players who worked there. in 1906, he began working in the brothels of Storyville as a pianist, and told his religious great-grandmother that his spending money came from a job in a barrel factory. After he bought a showy new suit and hat, his true source of income was discovered, and she threw him out. Traveling to Biloxi, Mississippi, he stayed in the home of his godmother, Laura Hunter/Eulaley Hécaud, who he later claimed was a practitioner of “voodoo” or vodun, the West African religious system which traveled to New Orleans with migrants from Haiti. In Biloxi, he earned money playing piano at The Flat Top and other clubs. Morton said he was forced to leave Biloxi and returned to New Orleans after threats of lynching, when rumors spread he had become romantically involved with Mattie Bailey, the proprietor of an all-white club. In 1908, the pianist began using the Anglicized surname “Morton,” and traveled the Southern United States. He frequently worked as a soloist, but also joined the vaudeville shows of Billy Kersand’s Minstrels, Fred Barrasso and McCabe’s Troubadours. By this time, he also had begun wearing a trademark – a diamond insert in his gold front tooth. Morton gambled avidly, continued to dress the part of larger-than-life entertainer, and quickly earned a reputation as a cocky teller of boastful tales. In 1910 and 1911, Morton made his first trips to Chicago and New York. For two years, Morton and his girlfriend Rosa Brown toured as a vaudeville act. He also developed a repertoire of arranged music that was written down in parts for pick-up bands to play with him. Musically, Morton’s piano style developed early on, with a unique left hand bass line that mimicked the sound of the New Orleans ‘tailgate’ trombone playing. His playing would ultimately take on the characteristics of an ensemble, with melody, harmonic support, and rhythmic punctuations all functioning in tandem and giving the sense of multiple elements operating collectively. This collective aspect of Morton’s music also was a pervasive quality of much of the early jazz tradition of New Orleans. The use of ‘breaks’, or improvised passages, in much of the music coming out of New Orleans around this time also played a significant role in Morton’s style. Breaks are quick stops in the musical activity of the ensemble or solo performer that set up a showy flourish or arpeggiated line, usually only lasting one measure or two before the return to the melodic content of the piece of music. These breaks eventually would become routine in the New Orleans style of jazz, and a pervasive trait of much of the jazz tradition beyond its early years. Traveling to California with bandleader Bill Johnson and his sister Anita Gonzalez, Morton worked as a club owner. Gonzalez (“Mama Nita”) and Morton co-owned a restaurant called The Jupiter, and established a reputation for lively entertainment led by Morton. The Jupiter closed after competitors in the area reported problems to police. Morton then split time between San Francisco and Los Angeles in 1923, where he lost large sums of money at the horse tracks. By the end of 1923, Morton had returned to Chicago. Having composed “Wolverine Blues” around this time, he gained more popularity with this song. Forming a working skiffle band that included instruments like jug, kazoo, and suitcase, he maintained an ambitious performance career in Chicago. Morton also recorded a series of solo piano performances for the Gennett record label based in the Mid-West. These tracks remain some of the most influential early jazz recordings. Seeking to form an authentic band for further recordings, Morton compiled more of his arrangements of original compositions and popular selections like “Black Bottom Stomp,” “Beale Street Blues,” “The Chant,” “Doctor Jazz,” “Wolverine Blues,” “Wild Man Blues,” “The Pearls,” “King Porter Stomp,” and “Grandpa’s Spells.” He worked for The Victor Talking Machine Company leading a studio band called The Red Hot Peppers. In the band rotation over the next two years were some of the top artists of the era: trombonist Kid Ory, clarinetists Omer Simeon, Barney Bigard and Johnny Dodds, banjoist Johnny St. Cyr, and drummer Baby Dodds, to name a few. Here the New Orleans style of jazz is best exemplified, with collective improvisation being used in the specifically arranged context of Morton’s own conception. The creative peak of Morton’s career came during his recording sessions for Victor in 1926 and 1927, as the leader of The Red Hot Peppers. Following the popularity of these recordings, and a marriage in 1928 to dancer Mabel Bertrand, the pianist moved to New York. As Harlem became the cultural capital of Black America, where jazz played an increasingly significant role, Morton’s star might have shown that much brighter. Unfortunately, his period in New York during the late 1920s was less productive for him than the preceding years. He led a New York version of The Red Hot Peppers, which included the ‘gut-bucket’ trumpeter Bubber Miley, drummer Zutty Singleton, and Pops Foster. However, his health faded quickly – something he blamed on a voodoo curse placed on him by his godmother. Morton’s troubles grew when he was denied access into ASCAP as well as The American Federation of Musicians Union. His publisher, Melrose Music, had dropped him from their roster, and thus he was unable to secure sponsorship in order to join ASCAP. Morton left New York for Washington, D.C. in 1935. He began a relationship with the city both as a performer and proprietor of The Jungle Inn nightclub, and also collaborated with pioneering researcher Alan Lomax, who at the time was documenting folk life and music for the Library of Congress. Between May 23 and June 12, 1938, Lomax recorded Morton’s extemporaneous commentary, often punctuated by musical passages at the piano, about his life and career. These recordings, done at the Coolidge Auditorium of the Library of Congress, are a vital and colorful document which contribute a great deal to our understanding of jazz and its role in American culture in the early twentieth century. Furthering his own legacy through the Library of Congress sessions with Lomax, Morton also famously wrote to a newspaper and aimed to prop himself up further, writing, “It is evidently known, and beyond contradiction, that New Orleans is the cradle of jazz and I, myself, happened to be [its] creator in the year 1902.” While many found his claims outlandish, Morton managed to pique the curiosity of others. Morton experienced a slight resurgence in popularity during the late 1930s, at which point he returned to New York to record with Sidney Bechet, Albert Nicholas, and Sidney DeParis. Morton’s final years were met with steadily declining health, and he moved to California in 1939, hoping to find some relief with the warm climate there. On July 10, 1941, Morton died in Los Angeles. At his funeral, no music was played, and he was buried in a pauper’s grave. His significance as a father of ensemble jazz and music of the New Orleans tradition is, however, nothing short of iconic. Full of personality, his life and musical career became the topic of a Broadway production called Jelly’s Last Jam in the 1990s, which featured Gregory Hines. 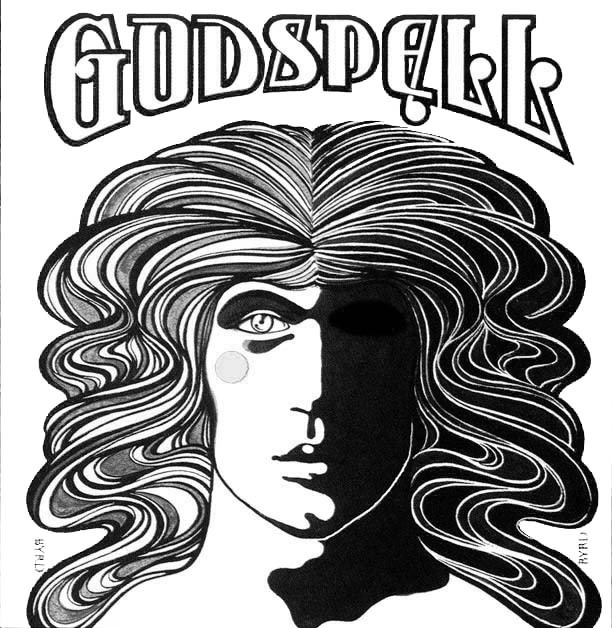 John Michael Tebelak originally produced Godspell at age 22 as his masters thesis project, under the tutelage of Lawrence Carra, at Carnegie Mellon University in December 1970. I decided to go to Easter sunrise service to experience, again, the story that I had gotten from the Gospel. As I went, it began to snow which is rather strange for Easter. When I went into the cathedral, everyone there was sitting, grumbling about the snow, and the fact that they had already changed their tires. They weren’t going to be able to take pictures that afternoon. Snow was upsetting their plans. As the service began, I thought it might be a little different. Instead, an old priest came out and mumbled into a microphone, and people mumbled things back, and then everyone got up and left. Instead of “healing” the burden, or resurrecting the Christ, it seems those people had pushed Him back into the tomb. They had refused to let Him come out that day. As I was leaving the church, a policeman who had been sitting two pews ahead of me during the service, stopped me and wanted to know if he could search me. Apparently he had thought I was ducking into the church to escape the snowstorm. At that moment—I think because of the absurd situation—it angered me so much that I went home and realized what I wanted to do with the Gospels: I wanted to make it the simple, joyful message that I felt the first time I read them and recreate the sense of community, which I did not share when I went to that service. I went to my teachers at Carnegie and asked if I could work at my own special project for my masters’ degree, and they agreed. That following fall, in October, we began rehearsals at Carnegie. Based on the Gospel of St Matthew, Tebelak developed the play’s concept, which connected Bible parables with actors behaving like clowns (or comic movie characters) in order to bring a joyful and spontaneous feeling to the material. Tebelak managed to convert a reluctant group of ten cast members to his outlandish notion. For a 1970 production of what was then called “The Godspell” in a tiny theatre on the Carnegie campus, the actors helped develop the playful performance style. The first score, written by a friend of the director, attached rock music to a set of lyrics from hymns and psalms. It was so popular, they took the show off-off Broadway for a two week run, and producers began to show an interest in the show, but thought that musical score had to be improved. In 1971, Stephen Schwartz, -also a Carnegie grad – was an ambitious twenty-three-year-old. He had a few college musicals on his resume, along with one Broadway song credit, “Butterflies Are Free,” used in the play of the same name. Fortunately for him, New York agent, Shirley Bernstein (Leonard Bernstein’s sister), had recognized his talent when he played her some songs from the college version of Pippin, and she promoted him to others. Stephen Schwartz adapted the lyrics or wrote original lyrics for Godspell. All music except for By My side is original. By My Side music is by Peggy Gordon, a member of the original cast. “Prologue”: various philosophical sources adapted by Tebelek, revised by Schwartz Summer 2000. “Learn Your Lessons Well”: Original lyric by S.S.
“All for the Best”: Original lyric by SS. “Beautiful City”: The lyrics for the song do not come from scripture but were written for the film version. The city state of Venice sits in a unique place in history. La Serenissima, the Serene Republic was exactly that, one of the few Republics in existence during its period of life. A state based on trade, it was also unique in culture, religion and in music. Much if the uniqueness based upon Venice’s geographical position, and I don’t mean just living in a lagoon. Although the region was part of the western Roman Empire, and the Venetian church looked to Rome, Venice was much more influenced by the East than any other part of Western Catholicism. In its early, formative stages, much of its cultural influences and most of its trade was with Constantinople and the Byzantines. This is true of politics, culture, religion and of course music. A couple of weeks ago we had listened to a number of Renaissance choral works, and one of the latest we listened to was Palestrina. If you listen to the purity and simplicity of Palestrina, you can hear the development from the great composer Josquin, but it is harder to make the leap just a few years later to the Baroque period. What happened? Palestrina was a member of what has been called The Roman School of Renaissance music, a conservative style of writing endorsed by the Council of Trent. However Venice, often different in all things from Rome (Venice as a city was once excommunicated by Rome) began to develop in a different way, now known as the Venetian School. A couple of factors led to this. One was, of all things, printing. In the early 16th century, Venice, prosperous and stable, had become an important center of music publishing; composers came from all parts of Europe to benefit from the new technology, which then was only a few decades old. Composers from northern Europe—especially Flanders and France—were already renowned as the most skilled composers in Europe, and many of them came to Venice. The international flavor of musical society in the city was to linger into the 17th century. But it still needed a catalyst. More importantly was a building. Many composers used the acoustics of the churches where they worked – Renaissance religious choral music was designed for the reverberation of a cathedral. 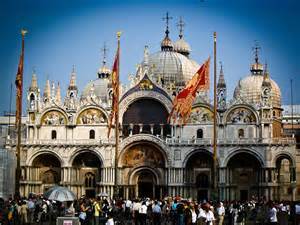 However, the Basilica San Marco (St. Marks) in Venice was different. Not only an acoustical marvel, Saint Mark’s was constructed with the constant influence of Byzantine ideas and architectural styles, and possessed not one but two organs in two separate choir lofts opposite each other in the northern and southern extremities of the transept of the cathedral. However, these were difficult to use simultaneously due to the style of choral music at the time, and the difficulties of conducting the widely disparate parts. Music had languished at St Marks, until the appointment of the Netherland’s composer Adrian Willaert in 1527 as maestro di cappela. When Willaert arrived, he hit upon the quite simple solution to using the basilica. This was antiphonal singing, or as it has become known, the Venetian polychoral style. In effect, Willaert thought out of the box and realized that he could not use one choir, divided into sections. But he could use two choirs – or groupings of musicians – that were independent of each other yet sang together. They would often sing antiphonally – or a call and response – but also together as two separate choirs (and by choirs I mean groupings of instruments). Later the front of the church was also used, so that much of the music may have more than two choirs. This polychoral style of composition became the hallmark of music at St. Mark’s, and is still the style of music we associate with the basilica today. Prior to this much of western music was based on similarities – interest was caused by polyphony, rhythmic stretching and condensing, and long fluid lines. Now we introduce true contrasting into western music. Basic to the polychoral style is the principle of tonal contrast achieved by the opposition of differently placed vocal or instrumental groups whose performers are either of similar or different ranges and colors. Disparity in the physical placement of the groups is of primary importance, particularly at St. Mark’s, where the resonant intermingling of the opposed sounds in the lofty spaces of the cathedral in part defines the special quality of this music. This caused a sensation across Europe, with composers from all over Europe coming to Vienna to learn this new style. Imagine the first time in the congregation and, in effect, hearing choirs in stereo with cathedral reverberations – as my son said, the first ‘surround sound’!. This was indeed the glory of Venice. The peak of development of the Venetian School was in the 1580s, when Andrea and Giovanni Gabrieli composed enormous works for multiple choirs, groups of brass and string instruments, and organ. These works are the first to include dynamics , and are among the first to include specific instructions for ensemble instrumentation. The polychoral style spread throughout Europe, and was especially popular in Germany, and was the direct precursor to the Baroque period and Johann Sebastian Bach. And although the Gabrielis were firmly Renaissance composer, you can start to hear the changes. It was up to their successor at St Marks, Claudio Monteverdi, to mark the transition from the Renaissance style of music to that of the Baroque period. We will be listening to Monteverdi’s work in a Salon in a few weeks, with an awesome amalgamation of Renaissance and Baroque in his Vespers. Tonight we listen to a recreation of a Venetian Feast of the Holy Trinity (less the chants and more liturgical music). The recording is In Festo Sanctissimae Trinitas, Jean Tubery conducting the music of Giovanni and Andreas Gabrielli. – This 1998 Belgian recording, which has appeared in several different packages, presents a true historical-performance take on Giovanni Gabrieli, a composer still left mostly to booming choirs, and popular brass quintets. The 16-voice choir and small instrumental ensemble may be quite a shock for listeners attuned to hearing Gabrieli as an opener for brass band concerts, but they ought to stick with the recording — it clarifies Gabrieli’s complex textures and puts the listener in the middle of the intricate spaces of St. Mark’s cathedral (even though it was recorded in Belgium) as few other recordings have done. The mixed-gender Namur Chamber Choir and the instrumental ensemble La Fenice deliver precise performances of music that in places is really very difficult (hear the brass runs in the Canzon settima à 7, track 10) — instrumental works are interspersed among the vocal pieces. But the real star perhaps is producer and engineer Jérôme Lejeune, who brings out the shifting, kaleidoscopic qualities of these pieces — critical, because a motet that suddenly dissolves into groups of three, for instance, would have had unmistakable symbolic significance for Gabrieli’s listeners. You hear the strings, the brasses, the soloists, the multiple choirs, and nothing is swallowed up. The contributions of conductor Jean Tubéry work in tandem with the engineering, and the singers cultivate high levels of both expression and text intelligibility. Tubéry makes a good case for the contention that the female sopranos are a better match for the castrati who would have originally performed the music than is a boychoir — the music, though modest in dimension, is gutsy. No texts are included, and the booklet covers the musical aspects of the Feast of the Trinity in more detail than most listeners may need, but this is nevertheless a recording that may offer a revelation for many listeners who have heard Gabrieli in the usual ways and want to learn more. Wow, haven’t posted in a while. I should catch up on all my Salon write ups, but I have been wanting to do some pictures. 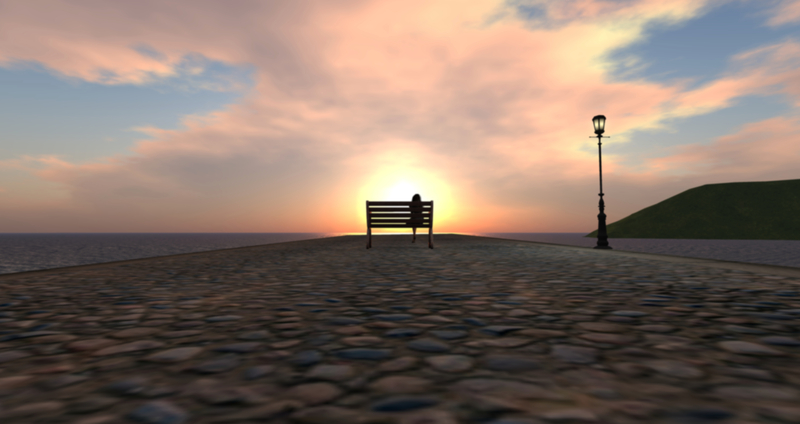 I did two similar pics, only differences were windlight and perspective. I thought they gave two very different feels. 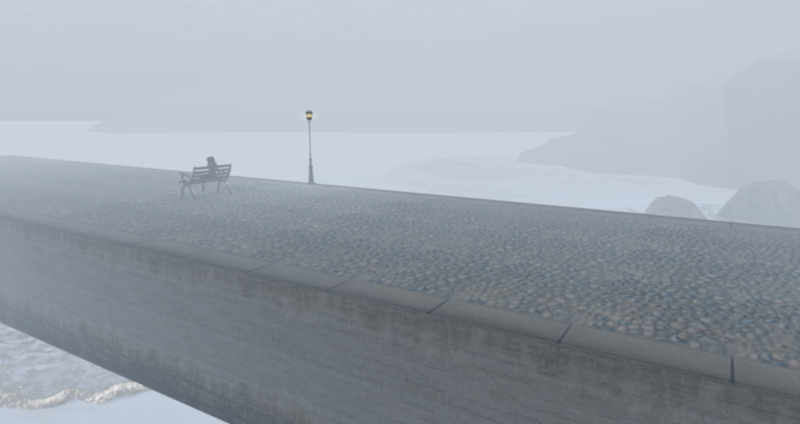 Ceejay's blog – A License to Quill!